As many of you know, I’ve been collecting data on all the top cuts of all the 2016 regionals that I can find. While I plan on putting up all the data in an easy-to-read format that is more accessible and searchable and such, I wanted to put out the preliminary data for the purposes of transparency and community discussion. 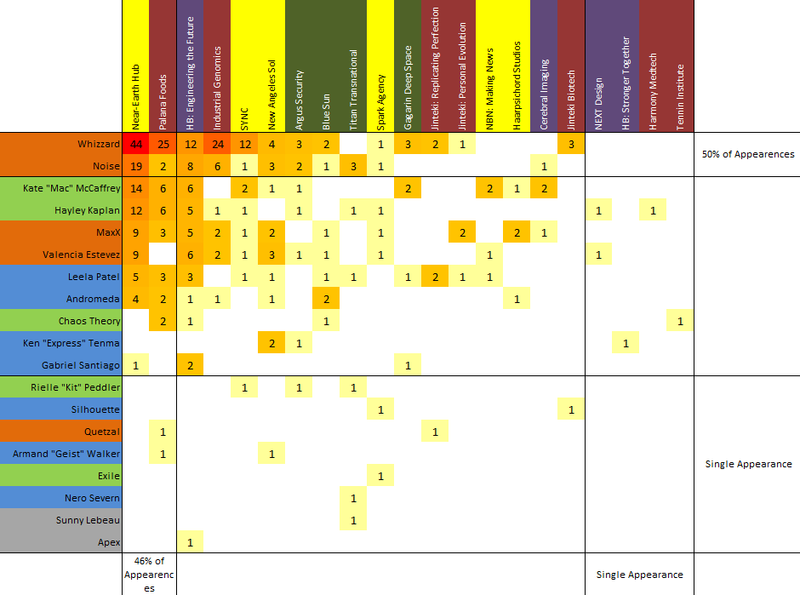 The following is simple data about ID representation among top cuts and regional winners this season. 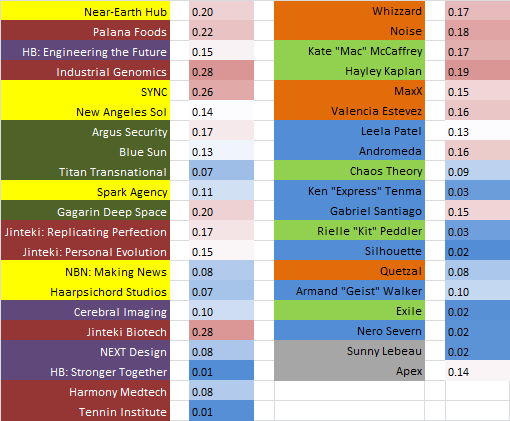 You can find which regionals I am still missing data for on in this spreadsheet. If you do not see a regional on here that should be on here, please let me know – I don’t have a complete schedule of regionals that have happened or will happen. PSA: PLEASE strongly encourage your local TOs to post final standings/swiss data of your events to Acoo.net! The data comes from all players that appeared in a top cut. Note that not all top cuts are top 8, some are top 4. Some regionals had different legal decks at the time they were held, which could affect representation. This report covers all top cuts in aggregate, regardless of pack legality. Not all regionals are represented in this report, due to unavailability of data. Thank you for all your hard work in this endeavor. This data is a huge boon and resource to the community, and I consider this data the best content on Stimhack in 2016, thus far. Truly some startling numbers, from a diversity standpoint. 66% Anarch is pretty obscene. I wonder what Shaper (see: Kate) saturation was in its heyday. Kate never got more than 35-40% and she was the only shaper being played at top level. The field was much more diverse during the same timeframe last year. I knocked up some quick over/underperformance statistics for each ID (small sample sizes, yadda yadda, take these numbers as a very rough estimate) - this is based on the number who did win versus the number you’d expect to win if wins were divided equally between everyone in the cut. IDs represented fewer than 10 times in the cut are shown in italics, to give a rough idea of which percentages will be especially high-variance. Some of the numbers are outrageously high because that’s what happens when you take percentages from something with a very low representation. Do not take them seriously. However, what is worth noting is that in faction terms, criminals overperformed in the cut. 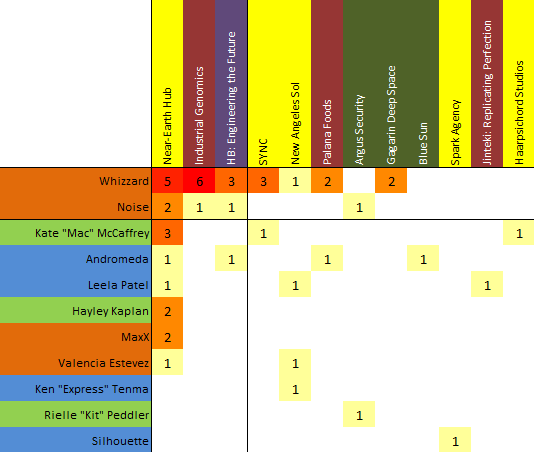 Of Shaper and Anarch, only Whizzard and Kate overperformed, and everyone else underperformed. Does this mean people are underrating Crim? Who knows - it could just be that the cut is full of NEH, and Criminals have a decent matchup against them. Certainly it seems to be much easier to get Anarch into the cut in the first place. The stories here seem much clearer than those on the runner side. Lesson 1: play NBN. Despite being the most represented faction in the cut, they still overperformed by a large amount, and every individual NBN ID except Making News also overperformed. It’s not just NEH, folks. Lesson 2: do not play glacier. This is most clearly illustrated by Palana’s disastrous performance despite the second-highest representation (52 players), closely followed by EtF (50 players) - which wasn’t quite so disastrous, but still underperformed. Blue Sun’s -17% rounds things out. Some of the numbers are outrageously high because that’s what happens when you take percentages from something with a very low representation. Do not take them seriously. However, what is worth noting is that in faction terms, criminals overperformed in the cut. Of Shaper and Anarch, only Whizzard and Kate overpeformed, and everyone else underperformed. I think it’s worth estimating the errors (even something as crude as Poisson noise) to demonstrate this. Because I don’t think it’s coincidence that the over-performance of Sil/Andy/Leela is exactly reverse order to their representation (Leela/Andy/Sil). I did, I just didn’t want to clutter things up with too many numbers. They’re ridiculous, with a range of over 200% for those high-percent IDs, so you’re right that some percentages are not especially meaningful (I did consider not including them for poorly-represented IDs, but ended up leaving them in). The faction stats are the real story there, I think, and can be relied on a bit more. Edit: It’s a pretty crude measure, but I’ve now italicised all IDs represented in the cut less than 10 times as an indicator. Certainly it seems to be much easier to get Anarch into the cut in the first place. Since we don’t have full data of the tournaments, we don’t actually know if that’s true. You’d have to compare % of Anarchs in cut vs. % in the whole tournament. I think it’s safe to say, based on these numbers, that the MWL has been a complete failure. If you were suspecting as much for some time, these numbers prove it. By what metric, you ask? Here’s just one: Stone told TWA that the MWL was supposed to fix the prevalence of NBN in tournaments. Instead, it seems to have actually made the problem worse. It’s data like this that might get Stone to put cards on the MWL that actually make a difference. As far as metagame diversity goes, it has been a failure. I thought so when it first came out, as I didn’t think there were many viable alternatives to the power cards and so the metagame would not diversify. From memory the only big alternative has been Corporate Sales Team. But it got rid of a lot of nasty stuff. NBN was far, far more brutal when it could pack 3x Eli, 2x Architect or combine Scorched with Biotic. And it solved most of the problems with Parasite/Clone Chip recursion, now it’s somewhat uncommon and you can play, say, Komainu which used to be unplayable. If anything, I think the metagame during the cycle has simply followed the course it had in its beginning. There’s a lack of some very basic cards that would allow for a diverse meta (Agendas, Criminal Fracter, Shaper tricks) and some very powerful, easy to slot cards (Jeeves). So these issues are not really the fault of the MWL because they could never be solved by it. Well it’s hard to say it’s the MWL alone, because there have also been card releases in the intervening period (including some great for NEH). If we had the matching t8 for last year we could compare their Gini coefficients to provide a proxy for ‘diversity’. It would also be interesting to try and unravel the corp and runner t8’ing: is NEH overrepresented because its just that good, or because the people who played it also were playing the top-tier runner decks? Just a heads up; the Malmö, Sweden Regionals will take place on July 9. Imagine if we didn’t have the MWL - Mumba Temple plus 3 Architects. Sounds like a Crim deck to me! Joking aside I’d say it has been demonstrated that NEH can reliably make it to the cut without Whizzard (73:44), but it hasn’t been demonstrated that IG can reliably make it to the cut without Whizzard (12:24). Doing a very coarse back of the envelope scoring on observed frequency ( (Freq Corp / total) * (Freq Runner / total) summed over corp and runner respectively) I come up with this chart. Red indicates paired with frequenter than expected identities on the other side. For the corps IG’s and SYNC’s (and Biotech, who only makes the cut with Whizzard) who make the cut are notably more often paired with cut making runners than other corps who make the cut. On the runner side its more even, with no particular standouts being pulled up by their Corps (except maybe Hayley who shows up with NEH quite a lot). One could make the case of ignoring the IDs with small occurrence for this analysis (everything below Gagarin and Andromeda). If you believe IG is the best corp deck, say, strongly enough to take it to a Regional, you’re gonna be very motivated to play Whizzard.